Dealing with your music on Yosemite will be one of the more popular aspects of the OS, here we are going to look at the top 4 music software for Yosemite, and look at the best ways of handling your music requirements. 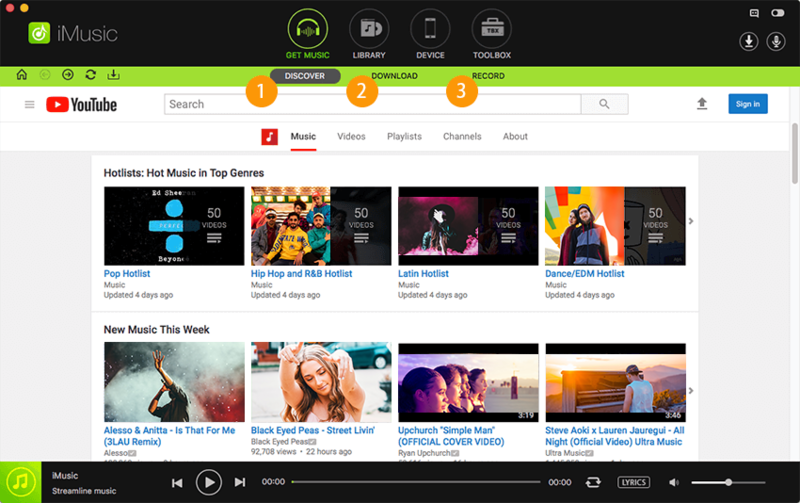 iMusic is a great music recording tool, enabling you to create MP3 files from your online media, be it YouTube videos, Pandora playlists or over 500 other sites. 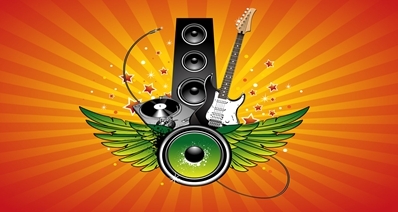 With the ability to handle different formats and different quality settings it can produce music files to suit any needs, add in the ability to identify and tag tracks and you have a fantastic and complete software solution for recording streaming audio. iTube Studio for Mac is a comprehensive product that can deal with all kinds of streaming media, it can download almost any video you want and convert it into an audio only file for your library quickly and easily, and with one click downloading is incredibly easy to use, in addition to musical requirements this is a great piece of software for grabbing any video you like from over 1000 compatible streaming sites, making it a great option for all your media needs. 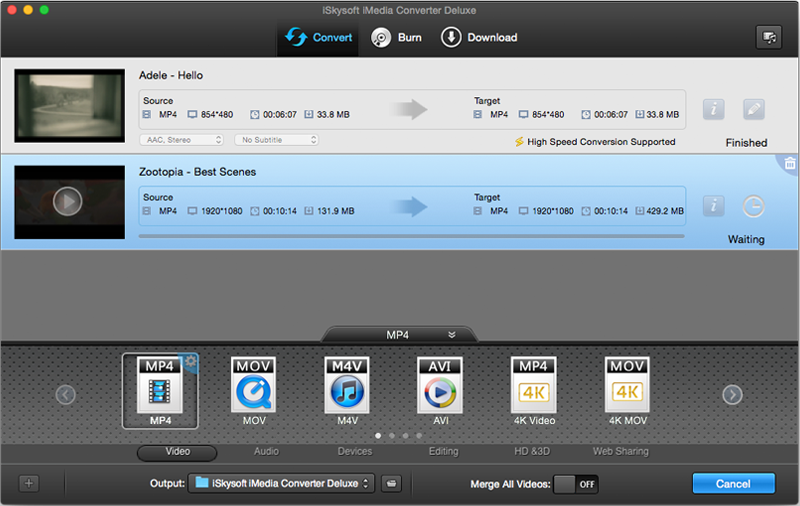 iSkysoft iSkysoft iMedia Converter Deluxe is another video application that can turn downloaded videos into MP3 files and import them into your iTunes library for you. It offers great performance, with fast conversions, but is only compatible with YouTube and so not as useful as some here. It is also a little lacking in terms of usability, the interface is not the most attractive here and it is not always clear how to accomplish some tasks. A good program, but there are better here. 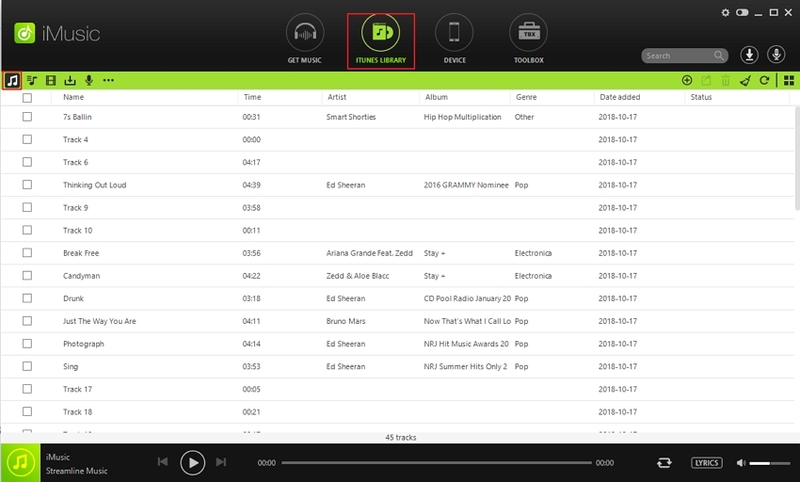 As an option for just recording music straight of streaming sites, iMusic is the best option out there. 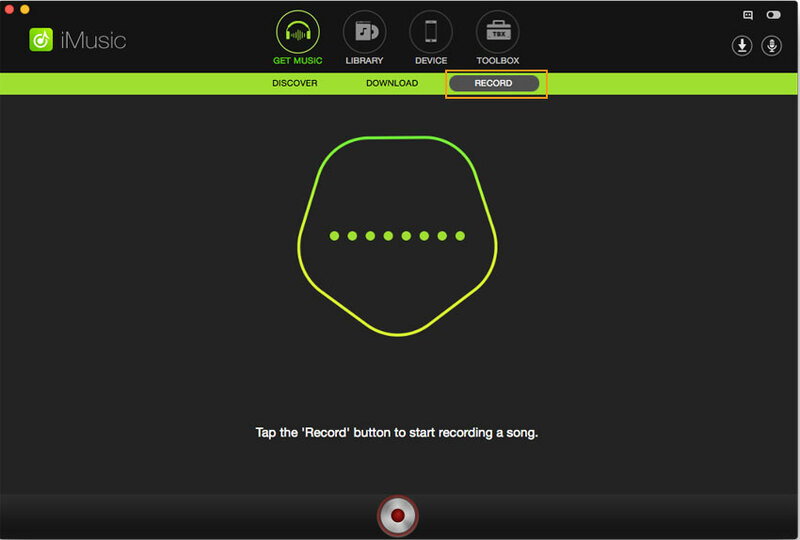 Aside from the MP3 and M4A file formats in a variety of quality settings, it is the ability to identify tracks as you record them and tag the file with the correct artist, album and title automatically that stands out. It can also automatically cut out ads from the recording and split each song into its own file if you are recording more than one at a time, for instance a Pandora playlist. All of these tracks can be searched by album, artist and title name within the library, and can be exported to your iTunes library with a single click. 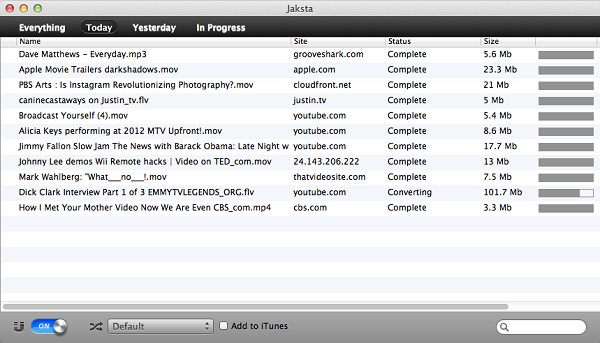 Navigate to the video or streaming audio you wish to record. Play it. 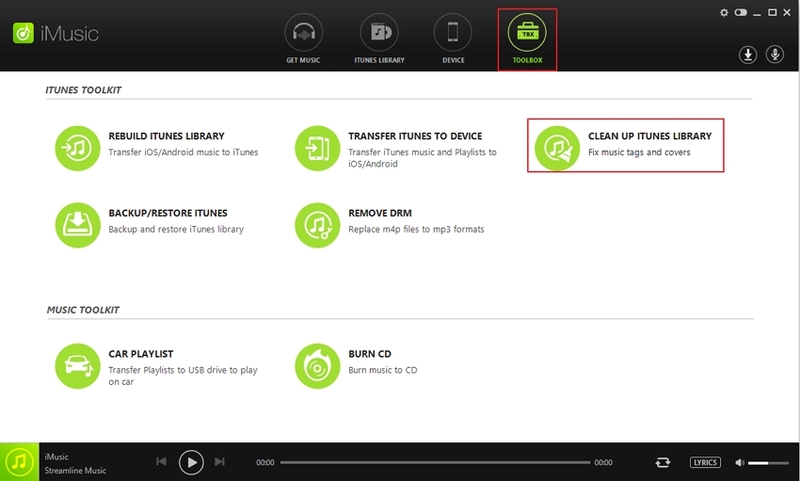 The iMusic automatically detects the music and records it all, identifying the individual tracks and tagging the files with the appropriate information. For anyone looking for a bit more than simply recording the streamed music,iTube Studio for Mac offers a comprehensive set of features for both audio and video, being able to download YouTube to MP3 with one click, or download pretty much any video you can find, and then convert it to any format you may wish to suit any device, including audio only for any video. 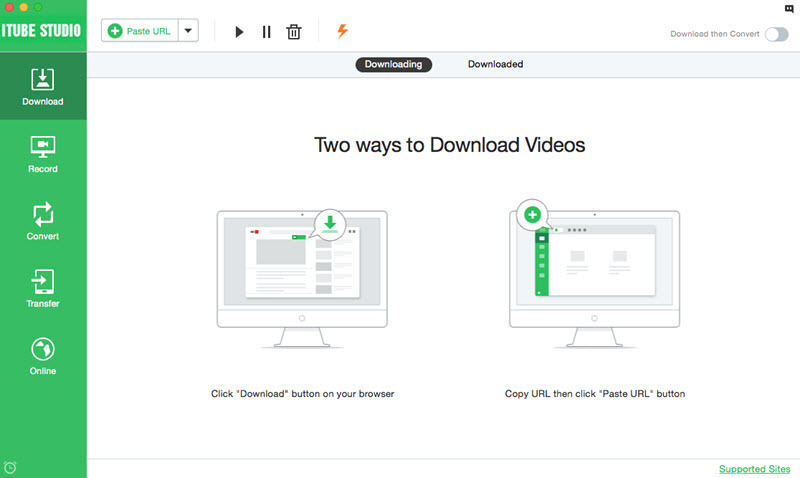 With accelerated downloading and impressive batch downloading features making downloading multiple videos an easy exercise, and an easy to use interface this is simply the best product of its kind out there. If you want to download YouTube to MP3, you only need to copy the video URL and then click the YouTube MP3 button on the top left corner of the interface.